Facebook has set out a strategy it hopes will make it as dominant in mobiles as it is in social networks. At the heart of its plans is making the mobile phone a more social experience and offering shopping discounts. The company announced the opportunity for businesses to offer deals to users via their phone. Facebook also revealed plans for a single sign-on that lets users log in to other phone applications with their Facebook name and password. Third party developers are also being offered the chance to add a social layer to their applications, the company said at an event at its Palo Alto offices. The bid to combine "mobile, social, local" comes as the number of phones proliferate throughout the world. More than 200 million people are now using Facebook across various mobile platforms, with the company claiming that this is bigger than the iPhone or Android user base. A year ago, the social networking giant had 65 million mobile users. Mobile users are also twice as active on Facebook as people who are logging on via personal computers. "There is obviously a lot of change in the mobile space and also a revolution happening in the social space," said Mark Zuckerberg, cofounder of Facebook. "What we have seen is you can rethink any product and rethink it to be social. Mobile is a big area of expansion and a huge new space. "Combining those things together brings big opportunities for new companies to be built and for industries to be disrupted." Industry watchers at the event said the single biggest disruption that Facebook introduced was the ability for businesses to offer deals to users who check into the site's Places feature. That product was launched in September and allows users to share with their friends where they are and figure out who is nearby. One of the first partnerships Facebook announced was with the clothing company Gap. It plans to run a campaign offering a free pair of jeans to the first 10,000 users who check in to their local Gap store using Facebook's mobile application. In total, Facebook has partnered with 22 major retailers including H&M, Starbucks, McDonalds and the Palms Hotel in Las Vegas. Small and medium sized businesses with a Facebook page will also be able to offer deals through Facebook's mobile application. "This deals product is a game changer," said Augie Ray from analyst firm Forrester. "When you consider that check-in sites like Foursquare has five million users and Facebook has 500 million, you begin to get a sense of where this can scale. "While so many people were eager to try out Facebook Places, it didn't become that widely adopted because there was no end benefit to the user. 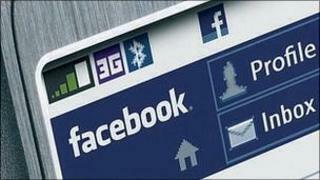 That all changes now and helps make Facebook the dominant force on mobile right now," Mr Ray told BBC News. Susan Etlinger, a senior analyst with Altimeter Group, said the deals feature takes Facebook in a whole new direction. "Facebook is moving into social commerce for real. This will take Facebook out of its comfort zone in a lot of ways and bring them closer to brands. "They need to be careful. The first group of deals looks nice and looks like they offer value. They will have to continue to maintain that experience because they have a lot of brand equity riding on this," Ms Etlinger added. Google and Yahoo are also aggressively trying to tap into users on the go and competing for a share of the growing mobile advertising market. Analysts have estimated that mobile advertising revenue in the US, for example, will rise to $3.1bn (£1.9bn) in 2013 from $320m in 2009. As always when Facebook introduces new features or products, the issue of privacy reared its head, with concerns being centred more on the developers using third-party applications to extract users' data. "While I think Facebook does a good job on this issue, I worry that third parties might accidentally disclose information inappropriately," said Larry Magid, co-founder of ConnectSafely.org. "Facebook is, in a sense, endorsing their application developers and the developers are getting access to location information. The concern is what level of security do the app developers have in place to make sure that information never gets out to the wrong people. "It's bad enough if people's posts get out there, but location is something very special and Facebook understands that it needs a better level of protection," said Mr Magid. Facebook's vice president of mobile Erick Tseng tried to allay fears. "Nothing has changed with the announcement today in terms of security and privacy. It is the exact same model that we have had," he said. "Today, we have 550,000 different games and applications running the same single sign-on model. Whenever any application violates our terms of service we will shut down that app." Last week, Facebook pulled the plug or denied access to "communications channels" on around a dozen application developers who violated their terms of service. Following an investigation into online privacy by the Wall Street Journal, Facebook said last month that, in some cases, user IDs were inadvertently being passed onto applications, which is against the company's policy. At the Palo Alto event, Mr Zuckerberg also killed off the constant industry chatter that Facebook will release its own smartphone to compete with the iPhone and Android devices. "What a novel idea," Mr Zuckberberg told reporters and developers. "Our goal is to make everyone social. If you are building an iPhone your goal is to get as many phones out there. Our goal is to be social." Those hoping for the company to announce an iPad application were disappointed. "The iPad? The iPad isn't mobile. It's a computer," said Mr Zuckerberg. "It's not a mobile platform the same way a phone is."